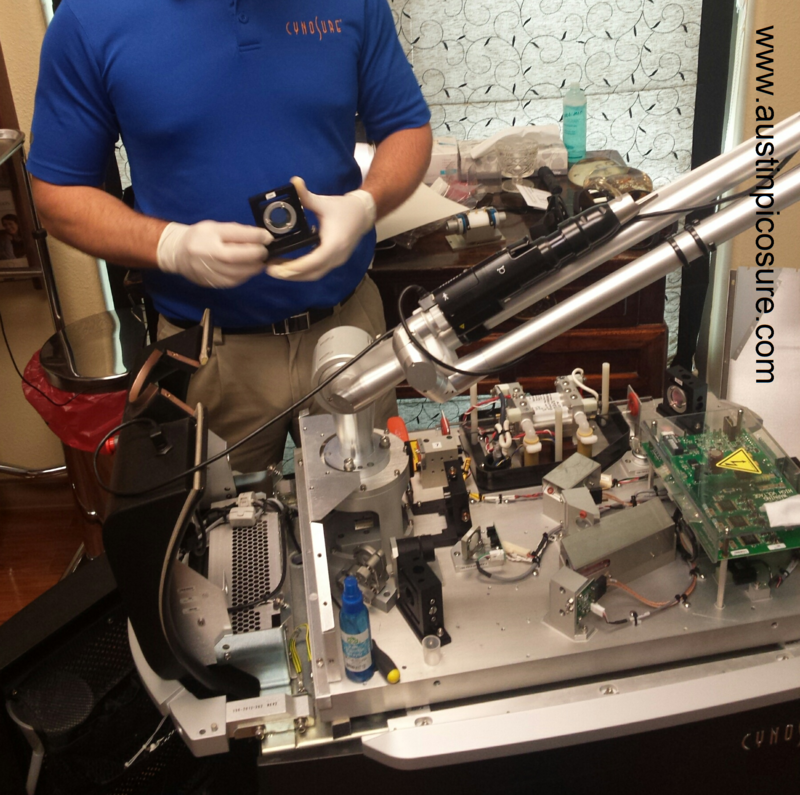 The PicoSure laser for tattoo removal was the world’s first picosecond medical laser, which is no small feat. So how’d they do it? Well no one’s saying. Let’s just agree that it’s definitely some whizzbang technology. 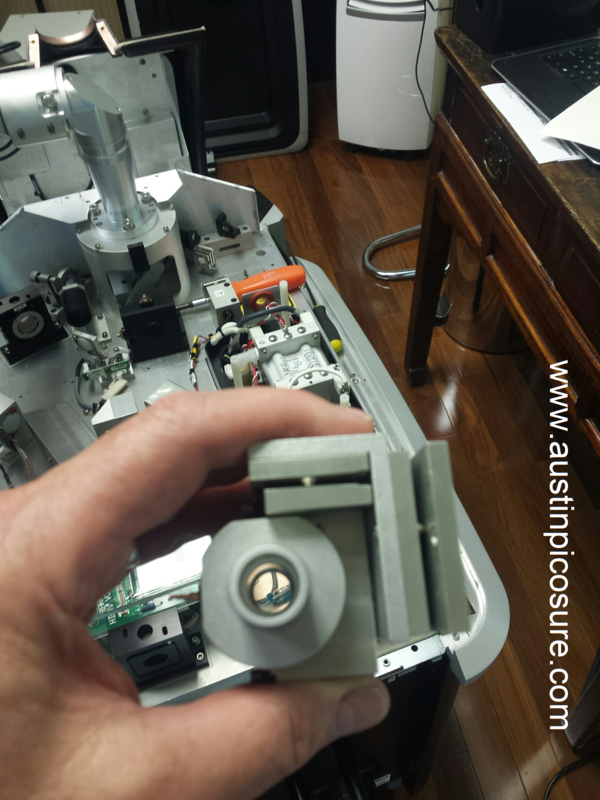 It starts with a synthetic alexandrite crystal which is the heart of the laser itself. Flash-lamps pump photons into the crystal which are then concentrated and emitted out one end to form the invisible 755nm wavelength laser beam. The 532nm handpiece for red and yellow inks emits a green laser beam. Remember what the acronym laser stands for? Light Amplification by Stimulated Emission of Radiation. Now all that power and technology comes at a price. For example, synthetic alexandrite crystals come in three grades: industrial, military and then PicoSure. You see the quality in its ability to remove tattoos and unfortunately in the cost when the crystal has to be replaced. I had mine replaced this week but now I’m back up and running. 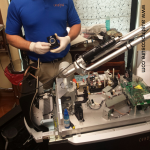 Take a look under the hood of my PicoSure laser for tattoo removal and you can see the world’s most complex and fascinating medical laser available. If you would like your tattoo removed by the safest, most effective laser on the planet I can be reached by phone @ 512-479-9997 or just stop by my NEW location in Austin, TX: Austin Medspa on W. 6th St.